PT Surya Madistrindo - PT SM or known as "Surya Madistrindo" is a reputable company in Indonesia, running business as cigarette distributor. The Company is a sole distributor of PT Gudang Garam Tbk (Gudang Garam Group, IDX:GGRM) - one of the largest cigarrete producers in Indonesia - and operates primarily as a sales distribution and field marketing of cigarette products. Its main business include sales, distribution, and also field marketing activities for the overall products of Gudang Garam Group. PT Surya Madistrindo is a directly-owned subsidiary company of PT Gudang Garam Tbk. 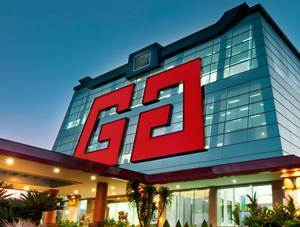 At present, Gudang Garam Group is the majority shareholder in Surya Madistrindo with a 99.99 percent stake. Based in Jakarta, Surya Madistrindo runs its business through 109 branch offices spread across Indonesia and also supported by 18 subsidiary companies. According to PT Gudang Garam Tbk Annual Report 2015 as cited by JobsCDC.com, PT Surya Madistrindo performance achievement throughout 2016 showed satisfactory results. Referring to its annual report, PT Surya Madistrindo managed to record total assets of Rp 6,577,367 millions in 2015. This total assets number is up 11.12 percent increase from Rp 5,919,122 millions in 2014. Ages up to 25 years. Education background in Bachelor degree (S1) in Accounting. Good interpersonal, analytical thinking and communication skills. Willing to work in the field and be placed all over Indonesia. Open to final year students (only for ones who passed the thesis defence). JobsCDC.com now available on android device. Download now on Google Play here. Please be aware of recruitment fraud. The entire stage of this selection process is free of charge. PT Surya Madistrindo - Management Trainee Program Gudang Garam Group April 2018 will never ask for fees or upfront payments for any purposes during the recruitment process such as transportation and accommodation.